Nowadays, traveling to the office to clock in eight hours of work just isn’t ideal anymore. Precious time that should be spent with loved ones is wasted being stuck in traffic during commute. This is why more and more Filipinos are venturing into online freelancing. Aside from freedom from the grueling commute, freelancing also offers opportunities to earn more while getting control of your time. But, how do you really stand out from others? 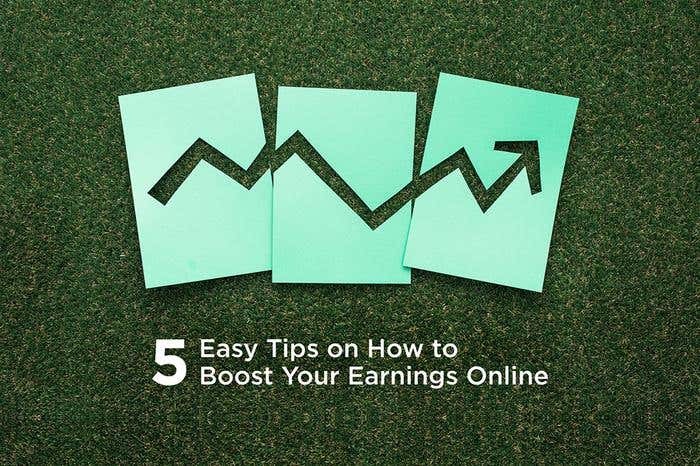 Here are some tips to help you win more e-gigs. 1. Update your profile constantly. Your profile page is your resume. Make sure to put your best foot forward. Properly list your credentials, education background and updated work experience. Also, take the time to curate your work for the portfolio section. 2. Bid for projects that suit your skills and interest. Take advantage of your work experience and skills. Whether you are into writing, graphic designing, programming, or working as a virtual assistant, make sure that you put the relevant details of your past jobs to show that you are the best for the project. Read the project description carefully so you'd be able to assess the amount of time needed to complete the job. Instead of writing a generic bid, craft a customized proposal to prove that you clearly understood what the employer wants out of the project. 3. Communicate with your client and make sure everything's clear. Once you get the job, make sure that you are on the same page with your client. Update your client regularly and be disciplined with your time to meet the deadlines. In this way, you will earn good reviews that will be instrumental for you to get more projects in the future. 4. Join freelancer groups and online communities. There are many other useful tips you can get by just joining freelancer groups and online communities. You can also learn from experts like Genesis Reonico, the founder of onlinejobslifestyle.com, a website that helps people to get started on freelancing. Genesis has been spreading the word about freelancing in the country for years now. “My primary motivation in pushing online work and digital career here in the country is to let others have the opportunity to also experience what I had experienced as an online worker; the flexibility of time, being location independent to do the work and the amount of money you can possibly earn,” he shared. 5. Link your PayPal account to an e-money account that doesn’t charge withdrawal fees. Freelancers in the Philippines can use EON*, powered by UnionBank, which doesn't charge anything on top of the minimal fees charged by PayPal. "UnionBank's EON has been a part of [the lives of] many online freelancers for years now. With the release of the new EON and the feautures it has to offer, using EON will be a much more enjoyable way of doing financial transaction," said Genesis. Remember that just like traditional jobs, online freelancing requires focus, professionalism, and efficient time management. *Check out eonbankph.com, Facebook/eonbank or Twitter @eonbankph to know more. I am willing to work as a team member and also autonomously for your project. I have also worked for many years of my career as a Product Management Expert. If hired by you I will deliver my best work at a high standard. I look forward to being hired by you for your jobs.